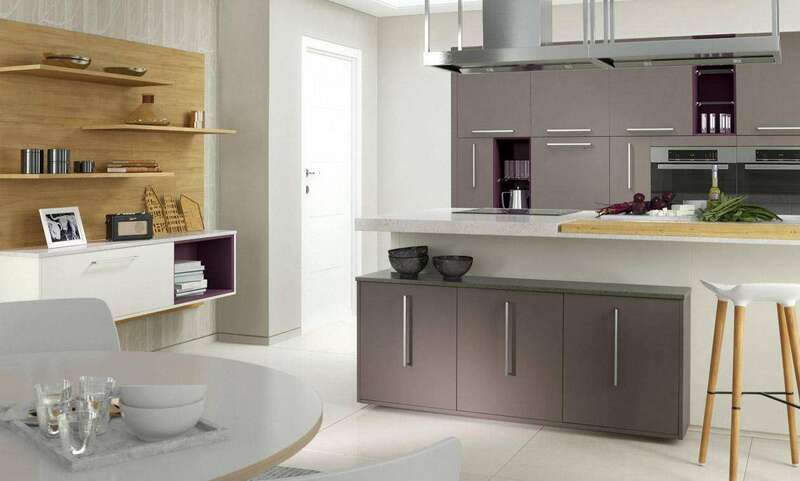 Kitchen designers in Derby that can give you fresh insights and advice on the latest trends are hard to come by, but our team at Kitchen Solutions have got you covered. We have been exploring the latest ideas for 2019, so that you can stay ahead of the curve with your new kitchen. Creating a clutter free space in your new kitchen will help carry on a minimalist theme for homes, which has caught on over the past few years. By eliminating ornate moulding and heavy finishes, clean-lined cabinetry gives your home a contemporary feel. Carrying on this theme, deep drawers are becoming extremely popular, as we look to keep busy cooking areas clear from pots, pans and cutlery. Depending on what idea you have in mind for your new kitchen, we have a couple of options for making your sink stand out. Minimalism seems to be a constant theme throughout this article, and with a sliding covered sink you can carry on this theme. Concealing a sink gives the space a cleaner finish and adds more counter space to your kitchen for food preparation or entertaining. Alternatively, you could look at including stunning contemporary fixtures and make a bold statement with your kitchen sink. Speak to our design team here at Kitchen Solutions and we can give you plenty of options for your sink and the rest of your kitchen. Kitchen Solutions have been providing the best kitchen designs in Derby, Nottingham and the surrounding areas for over 11 years. As a local family run business, we are renowned for our friendly service and our team’s attention to detail. Contact the only kitchen designers in Derby that can create a truly unique kitchen for you.